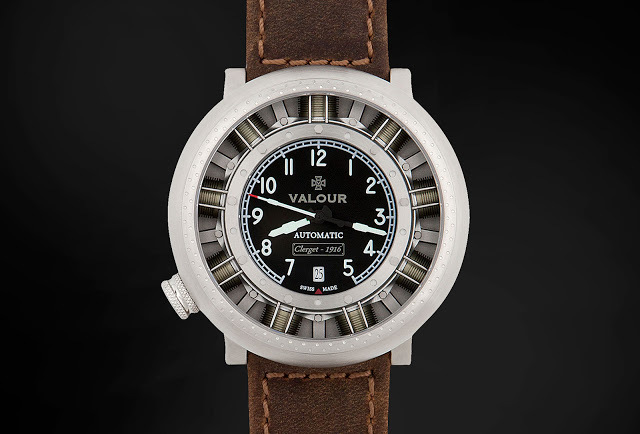 Inspired by the nose engine of the legendary Sopwith Camel fighter aircraft, the Valour Sopwith Aviator is an English designed, Swiss made pilot’s watch that resembles a rotary engine. A single-seater biplane used by the British during the First World War, the Sopwith Camel was responsible for downing more enemy planes than any other Allied aircraft. 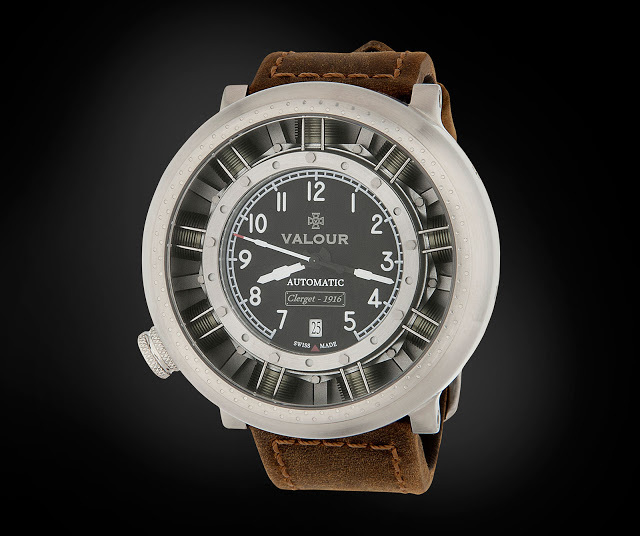 The Sopwith Aviator from Valour Watch Company is a tribute to the Camel, with the case and dial modelled on the Clerget Type 9 rotary engine found on the early models of the fighter plane. 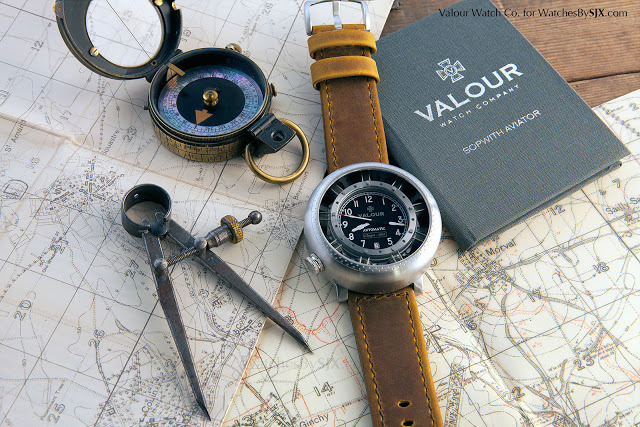 Founded by Mark Daniel, an English mechanical engineer, Valour Watch Company introduced the Sopwith Aviator for the centenary of the First World War in 2014. 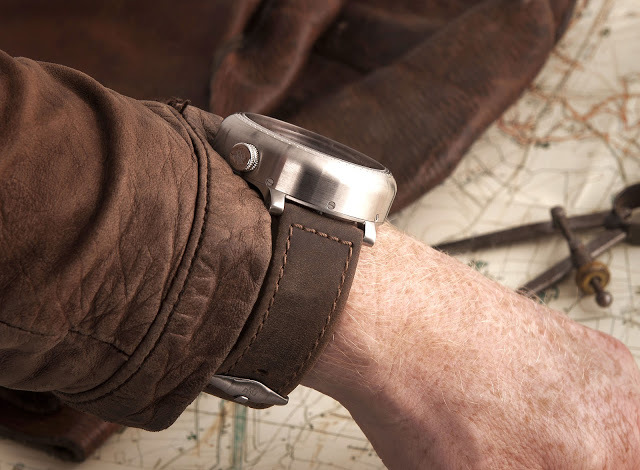 Comprising of some 114 parts excluding the movement, the Sopwith Aviator case is a complex construction that is comprises an outer case that resembles the nose of the Sopwith Camel, and an inner case that holds the dial and movement. The brushed steel outer case is an exceptionally large 54mm, with rounded edges and simulated rivets to look like an engine cowling. Fortunately the case has almost lugs so short they barely protrude from the case, which makes its effective length similar to that of watches with a diameter of 44mm or 45mm with standard lugs. Inside is the engine cowling outer case is the “engine sub-assembly”, essentially a miniature of a rotary engine made of aircraft grade aluminium and steel, with individual cylinders sitting around the dial and movement which are where the crankshaft would be in a real engine. Both the outer and inner cases have their own sapphire crystal, bringing the total to three, with the last used for the display back. 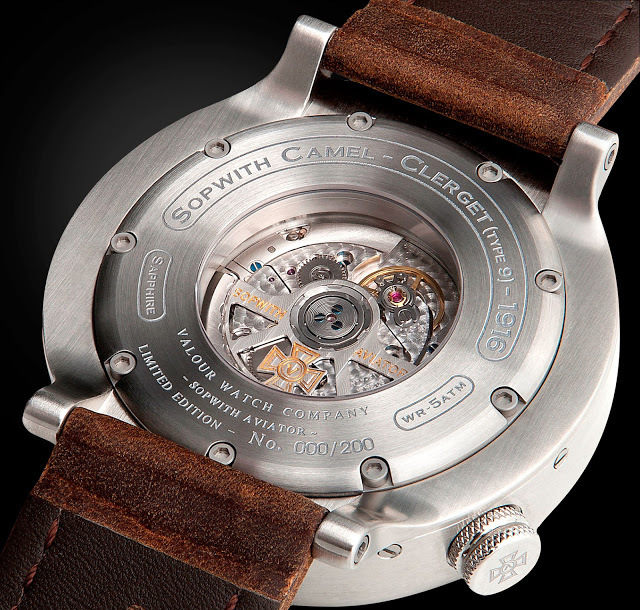 Inside is a Soprod A10, a self-winding movement with a 42-hour power reserve. Valour has opted for a higher grade version of the A10, which comes decorated with perlage on the bridges, blued steel screws, Geneva stripes on the rotor and gold-plated engraving. The Sopwith Aviator is accompanied with a 1/32 scale propeller sculpted in wood, along with a spare strap and hex-head tool to swap straps. 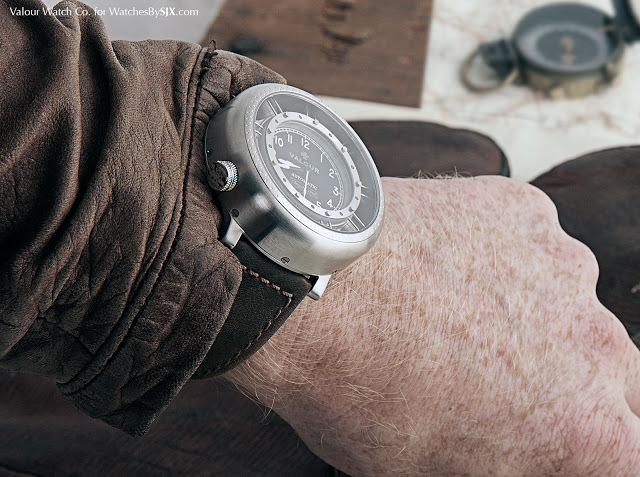 Both the instruction and warranty booklets are held in place by Irish linen straps, the very same material found in First World War aircraft frames and now used for restoration of vintage aircraft. 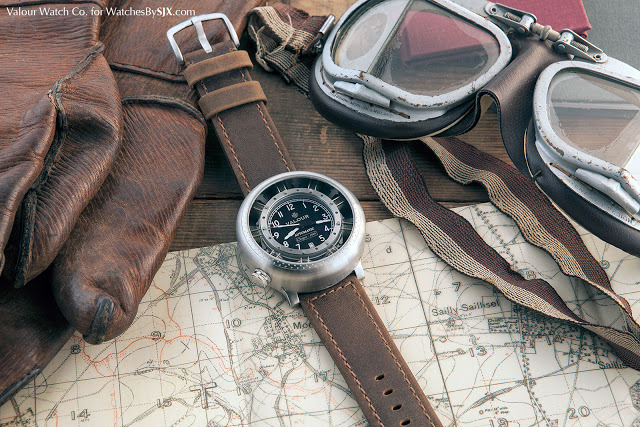 A limited edition of 200 pieces, the Valour Sopwith Aviator costs £3050 before taxes or S$6900 including 7% tax, available direct from Valour Watch Company or in Asia, from Red Army Watches.